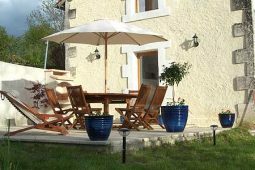 Gite Holidays – France – Fabulous holiday rentals in the Dordogne area of France. 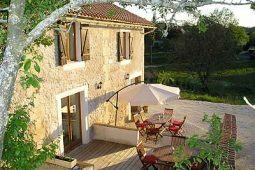 On this website you will find information on three properties; Les Bigoussies, La Maison Bijou & Les Granges. They are situated in a small, quiet hamlet near St. Meard de Dronne, 3km from the market town of Riberac on the River Dronne in the Perigord/Dordogne region. Cottage with private swimming pool. Sleeps up to 6 people. 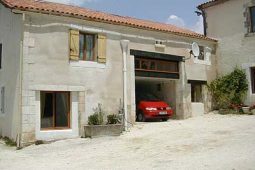 Les Bigoussies is the original farmhouse of the hamlet and has been renovated to the highest standard. Sleeps up to 10 people. 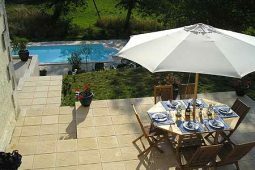 This charming converted barn can be booked as two separate gites that sleep 5 or 7, or as a whole sleeping 12. Riberac, considered by many to be the gastronomic capital of the Dordogne, is the perfect base for exploring the region; vineyards are in abundance in the Bergerac region and the mediaeval town of St Emillion is 40 minutes away by road, perfect for wine connoisseurs. The average temperature in the summer is 26oc, but daily temperatures regularly exceed 30o in high summer. The nearest city is Bordeaux at approximately 70 miles from the properties . The towns of the Dordogne region of France are steeped in history. Many feature ancient buildings and cobbled streets and are situated on one of the rivers that make up the Dordogne/Perigord region. The three main rivers, the Dronne, the Isle and the Dordogne boast some of the prettiest towns in France, including Bergerac, Perigueux, Brantome, St Astier and Riberac. Below is a brief guide to some of the towns in the area. The Perigord region of France is famous for its gastronomic delights and fine wines. Take time to explore the cobbled streets of the towns of the region where you’ll find excellent restaurants tucked away in the back streets. Below is a list of just a handful of places to eat and drink in the area. There’s plenty to do in and around the region. Close by, the River Dronne is in within easy walking distance and provides a tranquil location for river swimming, walking, fishing, canoeing and cycling. The town of Riberac even has a cinema. "A fantastic gite, lacking nothing. A lovely holiday was had by all. A shame to have to go home! Brantome is a gem and the market in Riberac is awesome! Thank you! " "Absolutely delightful. Quiet & peaceful. Highly professional. 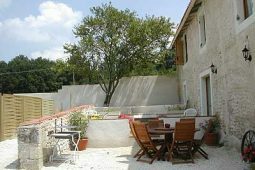 Gorgeous gite with everything you could wish for & more. Janice & Brian are a kind, lovely couple. We'll be back!" "Very friendly management, so helpful. Appreciated the comfy furnishings and extras, most items you would need already catered for to enjoy a relaxing holiday. Thank you very much." 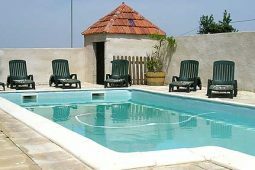 On this web site you will find information on three holiday rental properties; Les Bigoussies, La Maison Bijou & Les Granges. 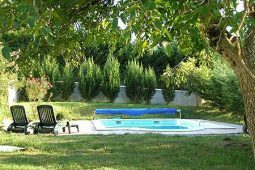 They are situated in a small, quiet hamlet near St. Meard de Dronne, 3km from the market town of Riberac on the River Dronne and in the Perigord / Dordogne region.